Penelitian - Two bird species managed to survive extinction after conservation efforts. These two birds are northern bald ibis (Geronticus eremita) and pink pigeon (Nesoenas mayeri). The success of conservation efforts by BirdLife International, which has conducted in-depth studies of the risk of extinction of birds in the world that are renewed every year. BirdLife has a role as a Red List Authority for bird species for the IUCN Red List of Threatened Species. Ibis bald ibis is one of 222 species of birds in the world classified as Critically Endangered species - the highest threat category that allows these species to become extinct. However, this species has now recovered so that it has been included in the list of lower threat categories. Pink pigeon has even gone through history further towards saved status. This species was registered from critical status to Endangered in 2000. Now the threat status has decreased to be vulnerable. "Planned conservation efforts have succeeded in increasing the status of Northern bald ibis and Pink pigeon," said Roger Safford, BirdLife International's Senior Program Manager on Tuesday. 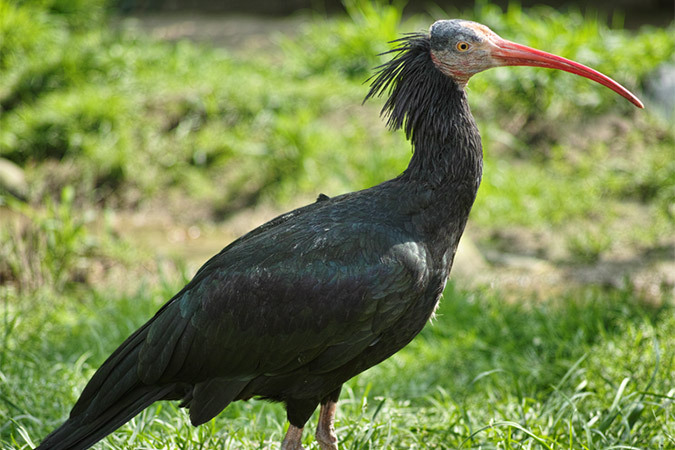 Northern bald ibis was initially only 59 pairs in Souss-Massa National Park, Morocco. Though this bird was once widespread and became a type of bird idolized in North Africa, the Middle East, and Southern Europe, and even used as a hieroglyphic in ancient Egypt. However, in 1998, habitat loss, pesticide use and hunting had pushed the population to the lowest number of all time, leaving only 59 pairs. The status of pink pigeon has fallen from precarious to vulnerable after decades of successfully controlling invasive species and restoring its habitat in Mauritius, the island where the Dodo (Raphus cucullatus) bird met his death. In 1990, the pink pigeon population had been reduced to only 10 wild individuals due to habitat loss and introduction of predators including black mice (Rattus rattus), long-tailed monkeys (Macaca fascicularis), and small Indian bushes (Herpestes auropunctatus). "This success is good news for the world and an inspiration for conservation activities anywhere," said Agis Dian Agista, Executive Director of Burung Indonesia.